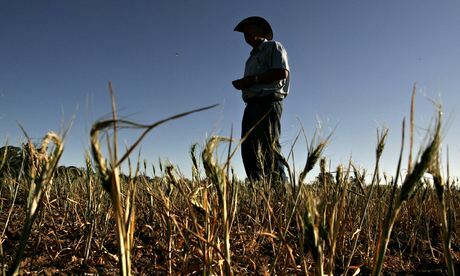 IPCC: Climate change "already affecting food supply"
The strain was developed and tested by a California company called Arcadia Biosciences. Biotech giant Monsanto is abandoning attempts to get more genetically modified crops onto the European market. Obama on Saturday pledged an “all-hands-on-deck response” to the severe drought affecting much of the country. The United Nations called for a suspension of U.S. government-mandated ethanol output amid surging corn prices, the Financial Times reported. Ethanol rose to the highest price in more than seven months as drought in the Midwest threatened corn crops and raised production costs.